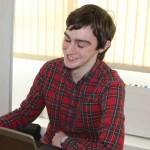 Richard joined the OSD in 2014 after graduating with a degree in software development from the Institute of Technology Sligo. His role in the company as a junior web developer is to research the projects requirements and to commence development on the project, incorporating the requirements and design into it. Richard brings to the OSD development team his strong experience working with PHP, CSS, HTML, WordPress and various other technologies and frameworks along with an excellent attention to detail and problem solving capabilities. He persists with development and content management system customization to facilitate the client’s needs and to ensure a smooth experience for both the client and the websites user. Richard is continuously looking for new opportunities to update his skill set and to further his knowledge of new technologies.